The Hitmen ended the quick two-game road swing with a 6-2 win over the Swift Current Broncos and extended their win streak to four games. James Malm had himself a three-point night to lead the Hitmen with two goals and an assist while Cael Zimmerman, Layne Toder, Luke Coleman and Kaden Elder added single markers. 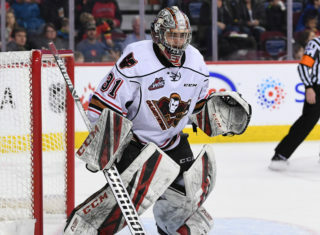 In his first career WHL start, 16-year-old goaltender Brayden Peters made 30 saves for his first career WHL win. Swift Current saw goals from Ethan O’Rourke and Ian Briscoe while goaltender Riley Lamb made 14 saves, before being replaced by Isaac Poulter who stopped 23 shots. 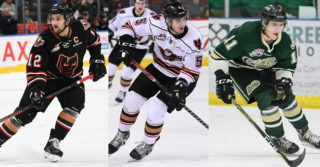 Riding high off their win over the Pats last night, the Hitmen came out flying to start. Zimmerman would get the goal scoring party started as he was stopped on his initial shot but stuck with the play to put the rebound home just over three minutes into the contest. 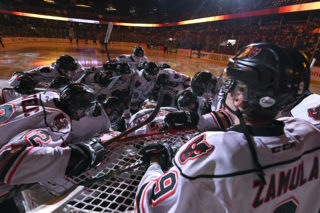 The Broncos would even the game up seven minutes later but the Hitmen put their foot on the gas to quickly respond. It took just two minutes as Toder would jump into the rush and tap home a rebound for his second of the season. Just 18 seconds later, Malm would pull off a jaw dropping move as he moved from behind the net to in front pulling the puck in between his legs and into the top corner for his first of the night. 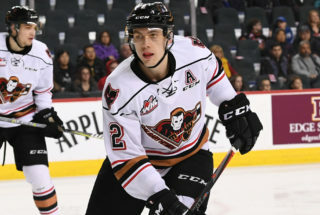 With 35 seconds remaining in the stanza, the Hitmen continued to flex their offensive muscles as Coleman would give the visitors a 4-1 lead after scoring from a tough angle on the powerplay. Swift Current would cut the lead to two in the second period but once the final 20 minutes came around, it was all Hitmen once again. Five minutes into the third, Malm found himself alone on a breakaway and tucked home his second of the night and 20th of the season. The 20 goals match a career-high for the 19-year-old who also reached the 20-goal mark in the 2016-17 season. 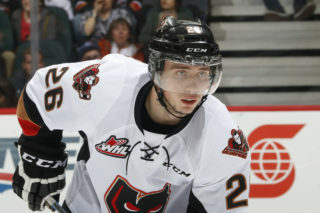 The Hitmen would add one more also on the powerplay as Elder would score against his former club on a back-door feed that left the winger with a wide open net. With the win, the Hitmen now move within four points of Medicine Hat and Lethbridge for third in the Central Division and have won 10 of their last 13 games. A much deserved day off is up next for the club, before they return to action Friday night to kick off the Corral Series presented by Adrenalin Source For Sports against the Wheat Kings.